Much criticised defender Smalling turned hero against Burnley with two goals to put a shine on another low key display by United. After the poor showing against West Ham at the weekend, it was a quick return to action for United and a chance to get back on track with the visit of Lancashire rivals Burnley. The first meeting between the two sides ended 0-0 earlier in the season. Louis van Gaal had an interesting pre-match press conference trying to debunk accusations of a ‘long ball’ syndrome by providing evidence to the contrary. His well-known stubbornness came to the fore as he got his point over to the watching world. That same stubbornness showed itself again as his team was announced: De Gea, McNair, Jones, Evans, Rojo, Blind, Rooney, Januzaj, Di Maria, van Persie and Falcao. Once more no place for Herrera in the starting XI, his last start was back on the 2nd of December. Rooney would continue in his midfield role, Januzaj was given yet another start even after some mediocre performances of late and van Persie would be partnered by Falcao a partnership that hasn’t exactly had the pulses racing of late. Subs: Mata, Smalling, Herrera, Valencia, Fellaini, Valdes and Wilson. 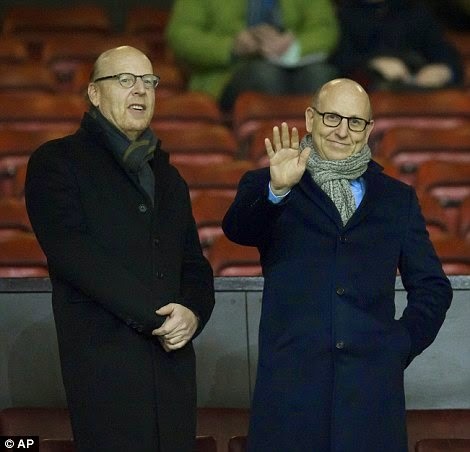 The match kicked off in front of the visiting Glazer owners who made a rare outing to watch their team play. It was Burnley who started well with ex-red Michael Keane heading over at the near post after not being picked up by Jones. At the other end, Paddy McNair had a powerful shot from outside the box which was well saved by keeper Tom Heaton. 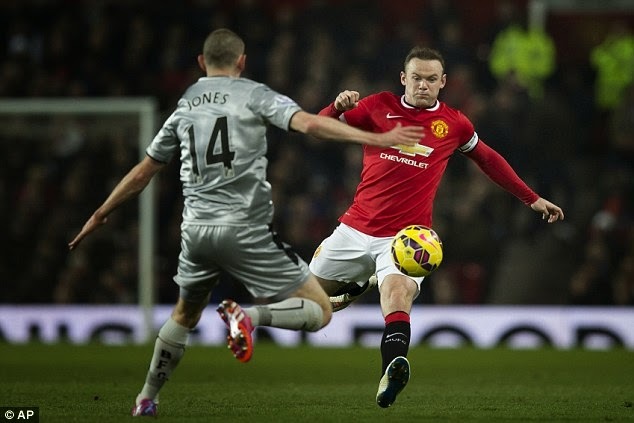 Within a few minutes of the match starting Phil Jones had to be replaced by Chris Smalling. This change provided the first breakthrough in the match as in the 5th minute Smalling opened the scoring from a corner with his first touch since coming on as a sub. The corner was lofted into the box and after a little bit of head tennis, involving Falcao, the ball was headed in by Smalling who managed to jump above the rest to get a good contact on the ball. Great start from United. However in the 11th minute Smalling went from hero to zero as Burnley striker Danny Ings managed to evade his marker Smalling too easily to head in a cross from the right. After his heroics in putting United ahead Smalling reverted to his normal game in allowing Ings to get away from him as he was ball watching. The goal gave Burnley the confidence to attack and after poor clearances from Evans and Smalling they earned a flurry of corners. After 20 minutes, it was really poor quality from United clearly they are not learning from their past mistakes and the two center backs are a disaster together. When Rooney was nutmegged that summed up United’s night so far. 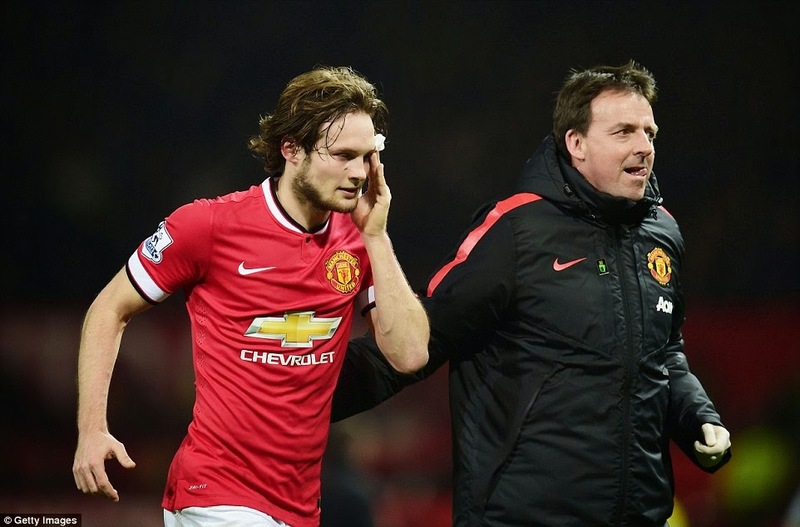 Blind went down with a knock to his head, which some of our other players needed to knock some sense into them. The Dutchman had to leave the field for a few minutes so the doctors could assess the damage. On 26 minutes, Di Maria was brought down at full pace on his way to the Burnley box. However, from the free-kick taken by Rooney nothing materialised. In the first half hour United had been completely outplayed by a Burnley side lying second to the bottom of the league at Old Trafford, something was obviously not right. 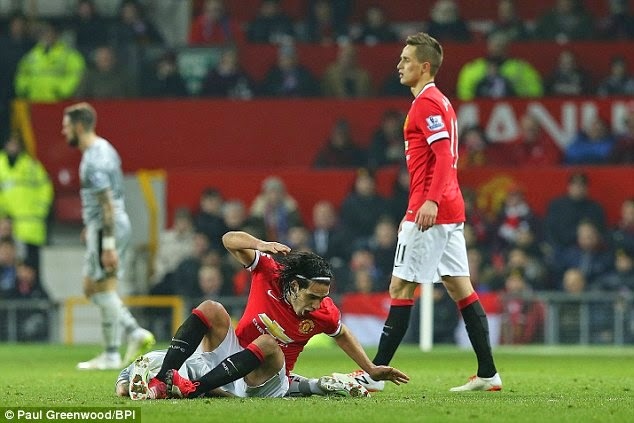 Blind came back onto the pitch but after a while it was obvious he could not continue and he was replaced by Herrera in the 37th minute. How embarrassing it was to hear the away fans cheering every pass their team made. Then as the half entered the 47th minute it was 2-1 to United totally against the run of play. A short corner between Di Maria and Rooney was eventually crossed to the far post by Di Maria where Chris Smalling was waiting to head in his second of the night. At that moment, he had made up for his mistake for the Burnley goal. Half time United led 2-1 although it was still a very disappointing performance yet again from the Red Devils who were totally outplayed by the visitors. Lucky to have gone in at half time leading but it couldn’t hide the fact that more organisation was needed for the second half. 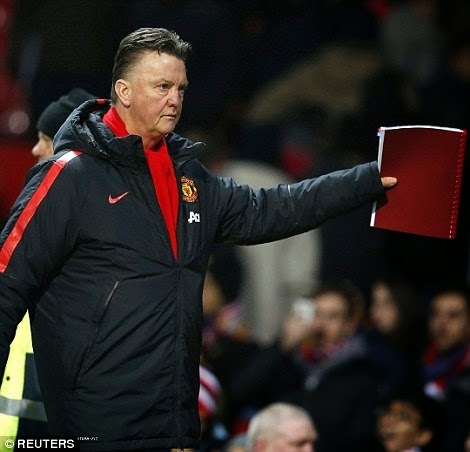 Louis van gaal had his job cut out at half time. The forwards were receiving absolutely no service therefore not a single chance on goal. The second half got underway with no further changes from United who only had one more substitution to make. Di Maria started brightly on the right managing to get past the defender and get in some crosses. But once again a mistake almost let the visitors back into the game when Smalling and Herrera combined to give Ing a chance on goal which de Gea did well to save then the Burnley striker blasted the rebound over, good chance for the visitors but again United’s keeper came to the rescue. Falcao was so poor that with every 50-50 challenge he was easily barged off the ball showing no conviction at all in his play. Surely it wouldn’t be long until he was replaced by either Fellaini or Wilson. At last Januzaj, who had been relatively quiet, had a positive run and shot which he hit well, but keeper Heaton saved well. 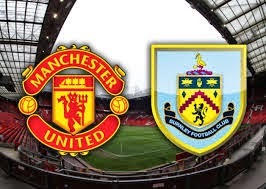 On the hour mark, you still got the feeling even leading 2-1 United were in no way guaranteed the three points as Burnley still kept pressing and taking advantage of the home teams uneasiness. United’s first yellow card was given to Rooney on 59 minutes shortly after that Di Maria tumbled in the penalty area after swerving this way and that way but referee Friend didn’t see any offence and waved play on. The pacey Argentinian, Di Maria, was the one player in the United side who at least tried to conjure up something, but even he was guilty of some rather poor finishing. 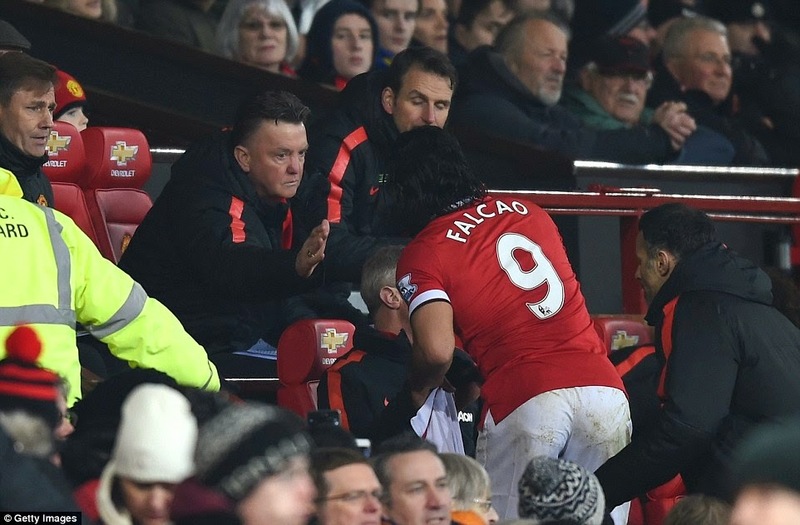 On 68 minutes, Falcao was the second United player to be booked, which basically was his last contribution as he was replaced by James Wilson in the 73 minute. Falcao left the field with shouts from the visiting fans ringing in his ears of “What a waste of money.” To be honest on this ineffective display, there was some truth in that. 4 goals in 18 matches is not up to his impressive standard. At the time Falcao departed we were still awaiting a shot on or off target from United’s two strikers. Di Maria sent a cross over as United attacked at pace with four on three, but his cross was cleared by defender Trippier for a corner. Then in the 82 minute Di maria earned reward for his persistence as he went on another of his runs and was brought down in the penalty area. Up stepped Rooney but it was Robin van Persie who was given the responsibility to score United’s first spot kick this season with his first shot of the night. The penalty was United’s first in the Premier league since last April. Game over. Wilson was the third player into Field’s notebook as he was booked towards the end of the 90 minutes and he would be joined by Di Maria. United went searching for a fourth goal and there was a mad scramble in the Burnley box as both Di Maria and Januzaj had efforts cleared, one of them off the line. There was still time for one last chance for Wilson to score, but his shot found the side netting. The match ended in a flattering scoreline of 3-1 to United but a win is a win and a valuable three points had been gained. The fact that Burnley won more corners than the home team told a story that it was not as easy as the scoreline indicated. Evans and Smalling are proof that we should have strengthened the defence in January. I hope we can get through the rest of the season with that pair. Van Gaal persists with Januzaj even though he has had no impact on games in which he’s been involved. He needs to be taken out of the limelight for his own good or his confidence will suffer greatly. Rooney was the name on everyone’s lips this week. The debate on his best position filled the web site pages and United forums debating whether van Gaal should move him to his striker position or persevere with him in midfield. Statistics don’t lie and in a season where the side has struggled for goals, one fact remains true and that is Rooney has only contributed with 8 goals in 22 matches. Of course, this is due to his deeper position in the middle of the park. My opinion is that he is a natural goalscorer and not a midfielder and that’s where he should play. Paul Scholes had the ability to make the switch with ease, but Rooney doesn’t have that style of play in his locker. He is a striker and, therefore, his talent is being wasted. Robin van Persie and Falcao are not gelling as a partnership and in the last three months of the season it’s goals we need, and quickly. We have Fellaini, Herrera and when fit Carrick who are more than capable of playing in the captain’s position, after all that’s why the club bought them. Next up is a visit to another Lancashire side in the 5th round of the FA Cup as United make the short journey to play Preston at Deepdale. If the team has any chance of winning something come May this is it. I predict another tough match and a replay at Old Trafford and as in the last round United will progress. Previous Blind rescues a point for United.